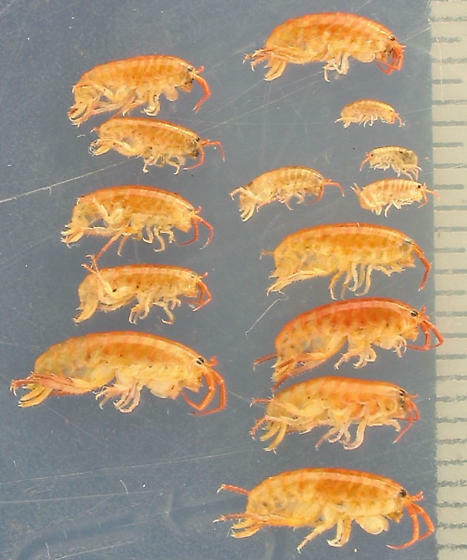 These are the shrimp-like intertidal amphipods on which the earwigs prey. These look like they've been cooked but they were killed with ethyl acetate and later placed in 70% ethyl alcohol. In life they were a variety of colors, leading me to wonder if they were various species. Some were rather blue, some looked pretty red, and others were more brown/gray. These little creatures a great jumpers and the air is instantaneously thick with bounding amphipods when a clump of rotting seaweed is lifted.